The LEO Trading Online Voucher has proven to be a huge success for many of 2Cubed’s clients in the past. The Trading Online Voucher scheme offered by local enterprise offices has proven to be a great support to many businesses and start ups as many have been awarded grants up to €2500 to help grow their business. 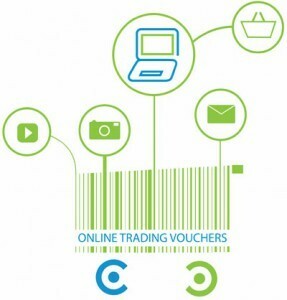 The purpose behind the Trading Online Voucher scheme is to not only provide financial assistance up to €2500 to aid businesses to trade online but also to provide training and advice on how best your respective business can operate and thrive successfully in an online environment. Who is eligible to apply for a Trading Online Voucher? To download the Trading Online Voucher application form click here. If you would like your company to benefit from the Trading Online Voucher which covers for funding up to 50% of your expenditure, please contact 2Cubed for more details. You can call us on 01-9058114 or 051-440425, email hello@2cubed.ie or else get in touch using the live chat on our website! Another year another set of funding from the Local Enterprise Office for the Trading Online Vouchers. These are excellent vouchers that offer up to €2500 in grant aid. Please see below for more information. Or contact your local enterprise office for more info. Minister for Communications Pat Rabbitte T.D. has launched an excellent grants scheme for budding small and medium enterprises who wish to help their businesses grow online. The Online Trading Voucher scheme is designed to help these small companies to access the opportunities open to them through trading online. This will help companies right across Ireland to access new markets so that they can grow and create more jobs. If you would like your company to benefit from this fantastic grant, which covers for funding up to 50% of your expenditure, please contact 2Cubed for more details. You can call us on 01-9055874 or 051-440425, email hello@2cubed.ie, or else get in touch using the live chat on our website! If you would like your company to benefit from this fantastic grant, which covers for funding up to 50% of your expenditure, please contact 2Cubed for more details. You can call us on 051-440425, email hello@2cubed.ie, or else get in touch using the live chat on our website! There are some ways in which registered businesses can get a helping hand from local institutions to get their web projects up and running. The Trading Online Vo ucher Scheme assists small businesses to trade online. Eligible businesses can apply for a voucher to invest in developing their ecommerce capability, of up to €2,500 matched by own funding, to develop a trading online component to their business. Applicant business must be trading for at least 6 months. Applicants have 9 months from date of approval to claim their voucher. If you want to contact us for more information on these grants we would be more than happy to give you a hand and guide you in the right direction. This entry was posted in News and tagged eBusiness Grant, eCommerce, eCommerce Websites, Wexford County Enterprise Board, Wexford Local Development, WLD on January 30, 2013 by admin. Wexford County Enterprise Board is now offering assistance with eCommerce and eBusiness Development with a small grant towards the high cost of developing this side of business. The board is now offering up to €1,000 or 50% of the costs towards developing an eBusiness or eCommerce website. This is always a popular grant scheme run by the county enterprise boards and gets subscribed to very quickly. Visit http://www.wexfordceb.ie/ebusiness-grant/ for more information or contact Jennifer here in 2Cubed. You can also contact 2Cubed on 051-440425 for a quotation. This entry was posted in News and tagged eBusiness Grant, eBusiness websites, eCommerce Websites, Wexford County Enterprise Board on January 17, 2012 by admin.